Let’s celebrate Presidents Day together. Here at Periodic Presidents we are gearing up for a fun-filled Presidents Day. We will be sharing games and activities all month long. Check us out on Twitter @periodicprez and #PrezDayParty for all the goodies. We also have a special coupon for Presidents Day. 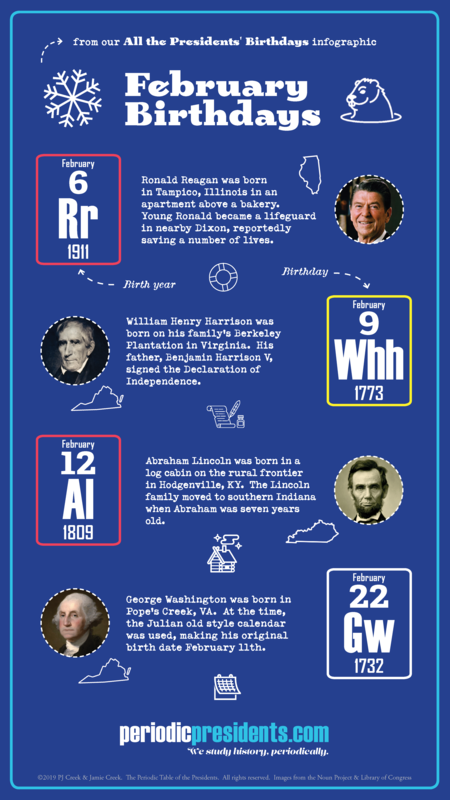 Use code FREEPOSTER to get a free Periodic Table of the Presidents or Elections when you purchase at least one full-sized poster. Just add the single poster to your cart and use the code. Find three names that make a complete president name (first, middle, last). Try out all three levels. Host your own Presidents Day Party! Previous Post Which presidents were vice presidents?